A Venezuelan Delegation comprising of 41 members will participate in the Caribbean Festival of Arts “CARIFESTA X” from the 21 to the 25 of August 2008 in Georgetown, Guyana. The Venezuelan talents are represented by the Ministry of the People’s Power for Culture of the Bolivarian Republic of Venezuela, through the Institute of Scenic and Musical Arts directed by Mr. Rodolfo Porras, the Centre for Cultural Diversity directed by Benito Irady, the Foundation National Company of Dance and the Foundation National Company of Music. These institutions will present at this multicultural event a program showing the strength, vitality and happiness of the Venezuelan traditional manifestations popular in the various regions of this country. Under the theme Dance and Music of the National Folklore of Venezuela, this production will take visitors, delegations and Guyanese through all the Venezuelan geography, displaying various scenes such as Carrizos de San José de Guaribe, “El Panecillero”, Joropos and Estribillos, Diablos Danzantes (Dancing Devils), San Juan de Guatire, Mina y Culo e ' Puya, Rhythm of Tamunangue, Tambor Coriano (Drum), Bambuquisimo, Gaita de Tambora y Chimbangueles, Brisas del Torbe, Giros de San Benito, Cantos de Arreo y Ordeño, Guayacán en Contrapunteo, Joropo Sabanero, among other manifestations. It is important to highlight that among the delegates there is Professor Esteban Emilio Monsoyi, an anthropologist, winner of the National Humanitarian Award, who on Monday 25 of August 2008, with his command of various languages will give a conference on “Cultural Diversity in Venezuela and its relation to the Caribbean” and also he will offer an extraordinary conference on the Caribbean integration process, at the building of the Venezuelan Institute for Culture and Cooperation (IVCC). 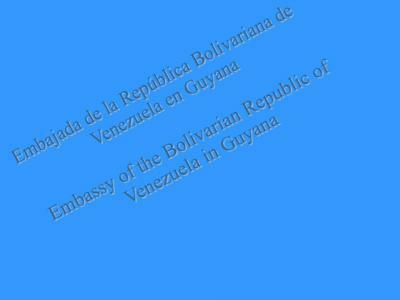 On the 26 of August at approximately 11:30 am, the Venezuelan Delegation returned to the city of Caracas. Workshops, Forums & Master Classes presented by the Venezuela Drama Workshop held at the Umana Yana on Saturday, 23 of August. Country presentation by Venezuela at the Grand Cultural Market & Trade Fair in the Sophia Exhibition Center on Saturday, 23 of August. Performing arts by the title “Amazonia” presented by the Venezuelan National Dance & Music Company held at the National Cultural Centre on Sunday, 24 of August.